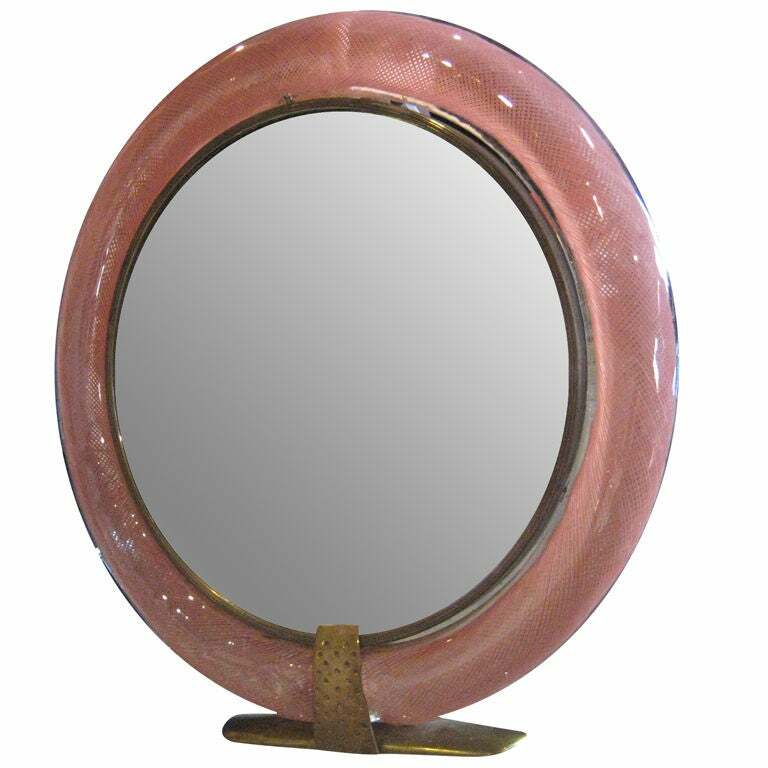 Red filigree glass frame with bronze mounts and original mirror. 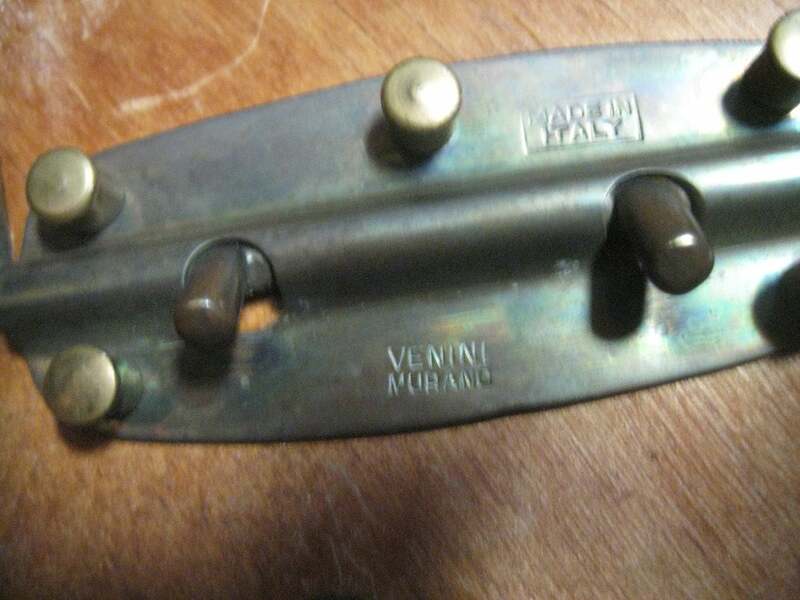 Stamped "Venini Murano" and "Made in Italy" on the backplate. 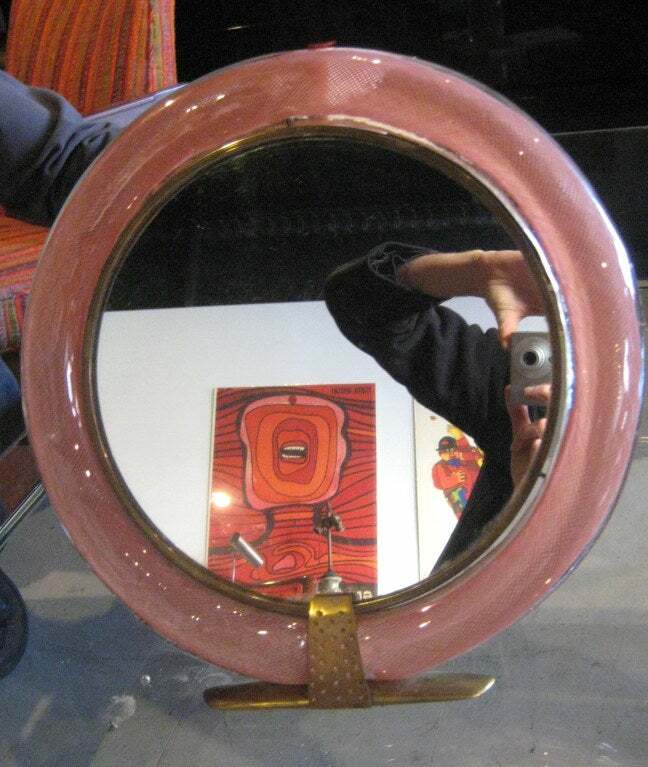 This mirror is included in the Venini catalog Raisonne as designed by Carlo Scarpa. Beautiful early example of this Classic Venini design. Extra-long neck and bright yellow stripe on dark blue base. Venini label sticker covers most of the acid stamp. 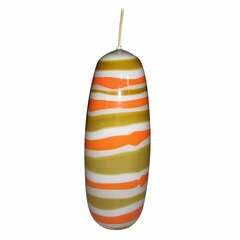 Largest size pendant in white, tan and orange fasce glass. Early example is in pristine condition. 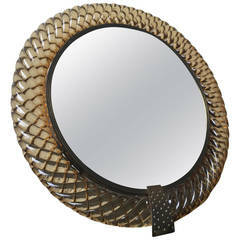 Impressive mirror, executed in very rare brown glass “a treccia” (large twisting). Stamped “Venini Murano” and “Made in Italy”. Perfect condition. 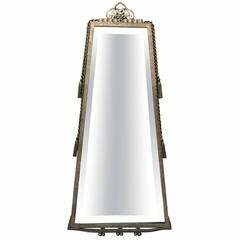 Very elegant brass and glass table mirror signed Venini and designed by Gio Ponti. Rare heavy Murano Venini glass frame with incredible braided texture, brass accents and what looks like gold dust inside the glass. Label on back. 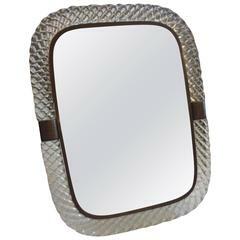 An arched top mirror with brass inner frame and braided Venini glass pattern. Marked Murano. 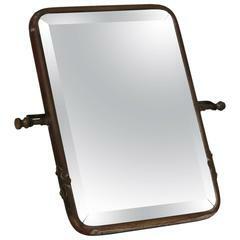 Venini tray in clear glass. The glass is crafted in a Torciglioni pattern with brass accents. 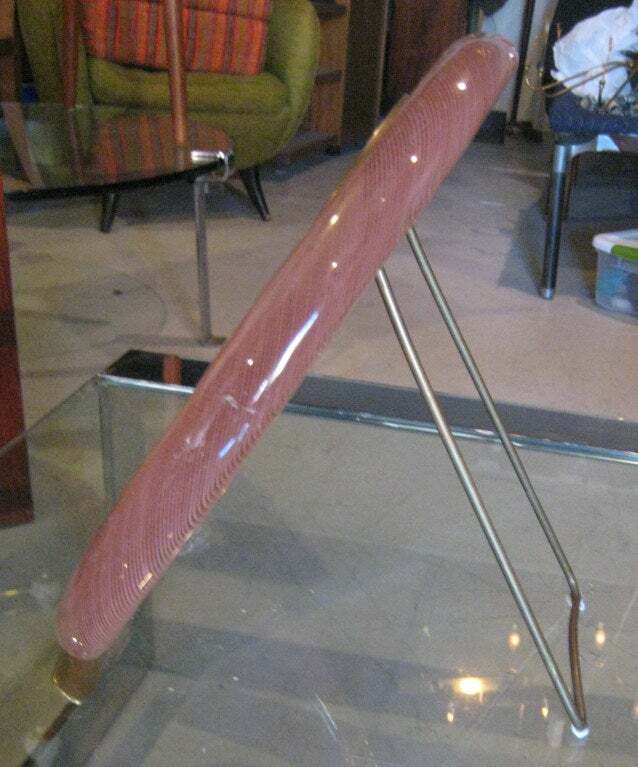 The base of the tray is mirrored. Wear consistent with use. The tray is in good condition.